The trial of the Al Jazeera journalists in Egypt has drawn the world’s attention to the desperate situation for reporters working in the country. 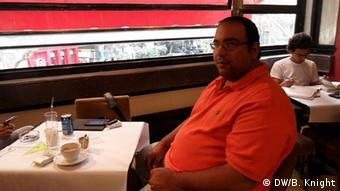 But the attitude among Egyptian journalists is complex. 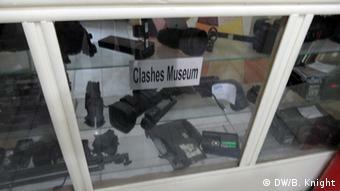 In the ON-TV Academy, where the next generation of Egyptian TV journalists are being trained, there is a glass display case with a sign on it that says “Clashes Museum.” It contains three shelves of dusty and broken TV cameras and microphones that the academy’s tyro reporters brought back from the many protests that have raged in Cairo since the 2011 revolution. These aren’t easy times for journalists in Egypt. The Press Emblem Campaign (PEC) has put the country seventh on its list of most dangerous places for journalists to work, while the latest World Press Freedom Index, published by Reporters Without Borders, ranked Egypt 159th out of 180 countries in the world. The organization says that five journalists have been killed, and at least 80 detained since the new regime took over from toppled President Mohammed Morsi on July 3 last year. Recently, international attention has been attracted by the trial of 20 journalists, mostly from the Al Jazeera network, who were arrested in December and charged with a litany of offenses from smearing Egypt’s reputation to aiding terrorists. They have been kept in desperately inhumane conditions without trial for more than two months now. Even journalists openly critical of the current Egyptian government and the impending presidency of Abdel-Fattah el-Sissi criticized Al Jazeera’s coverage following the ouster of Morsi. The Qatari-based channel – especially its Arabic network and its Egyptian offshoot, which has been banned – is dismissed by many in Egypt (and in many Gulf States) as a stooge to the Muslim Brotherhood, which is considered responsible for terrorist attacks.